A few weeks ago Ferrebeekeeper featured a post about belemnites, extinct cephalopods from the Mesozoic which teemed in immense schools through the reptile-haunted oceans of that bygone era. Yet belemnites were certainly not the only cephalopods which swam in the Mesozoic seas. 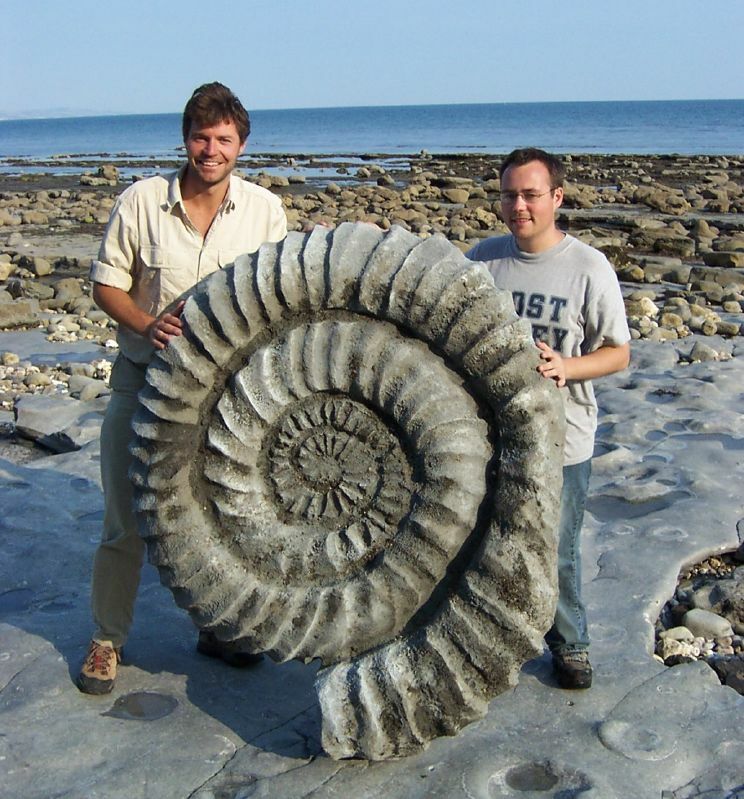 Numerous shelled cephalopods—the ammonites—were widespread in every sort of marine habitat. Ammonites are personal favorites of mine so I am not going to write a comprehensive explanation/description of the subclass. 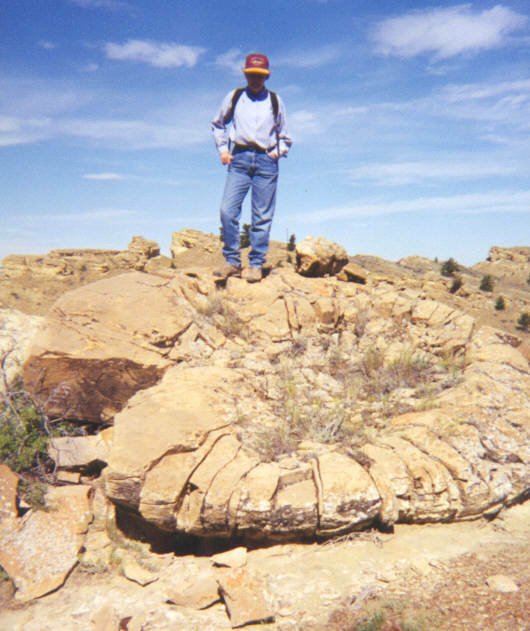 Instead I wish to provide you with an idea of how big ammonites could get by providing a few pictures of large ammonite fossils which have been discovered. Imagine these monsters jetting through the water with huge tentacles and big intelligent eyes scanning for giant predatory reptiles and you will have a better idea of the Mesozoic Oceans! This one is only .7 meters (two feet) in Diameter but it sure is pretty. This is my first comment here, so I must begin by telling you how much I enjoy your blog. I’ve been following it since your post on the flamboyant cuttlefish (a favourite creature of mine). Re ammonites, you may be interested in Simon Winchester’s book The Map That Changed the World. Or perhaps you’re already familiar with it. 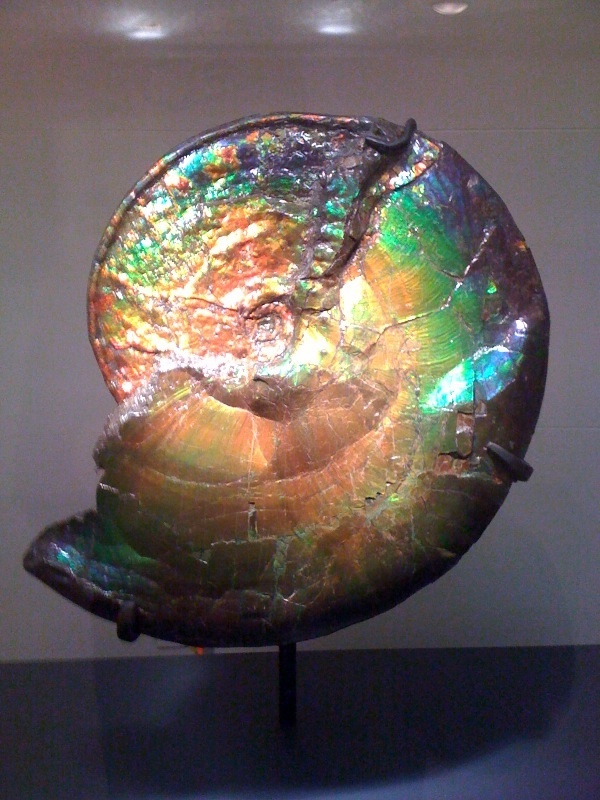 If not, it recounts how William “Strata” Smith developed the first geological map of Britain, using fossils such as the ammonite to identify geologic ages in the rock strata. The locals knew them as”Chedworth buns” or “pound stones” and used them as weights as they were very plentiful in Oxfordshire of the late 1700s and early 1800s. I certainly had no idea that they ever got as big as the examples above. Wouldn’t it have been a treat to be able to gaze upon the Mezozoic sea — from the safety of a well-armoured submersible of course! Thanks so much for the kind comment! I really like flamboyant cuttlefish as well. It’s a shame they are not more famous. 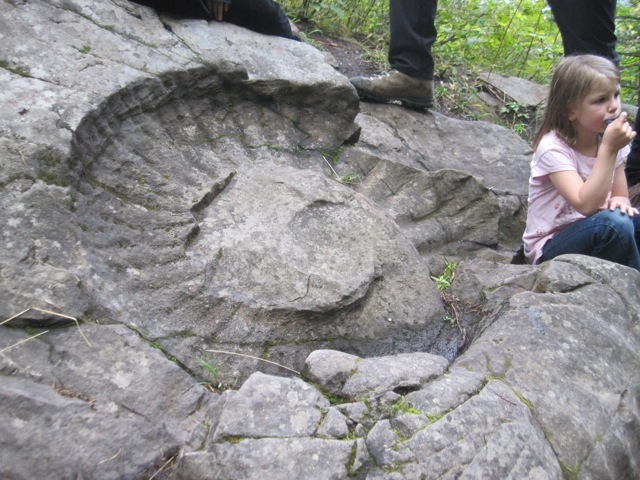 I know that ammonites are major index fossils and that substantial effort has gone into understanding when certain species lived and where (so that geologists could better get a handle on the age of various rock layers) but I don’t know the specific story. I appreciate the book suggestion and the folk history that ammonites were used as weights! I sometimes also dream of the Mesozoic ocean but maybe it is best that I can’t go to those violent depths! OMG. 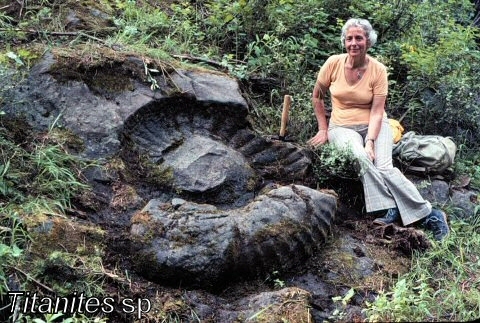 BIGGEST FOSSILS I’VE EVER SEEN.!!!!!!!!!!!!!!!!!!!!!!!!!!!!!! I work at a lime stone guarry in Maple Hill NC and come a cross a lot of the smaller mullusk and then found a large ammonite in a sump hole we dug , it is about 12 to 14 inches in diameter.In no way as large as the ones on here but never the less exciting for us here. That’s an exciting find (the best I ever discovered was a fern leaf from the Carboniferous): you must see all sorts of amazing fossils! At least you have a quarry! I’m stuck looking for fossils from a cubicle. Since I have a snail phobia… this just made my head turn hehe. I did dug out some smaller ones in France. But they were like 2-3 inch in diameter. Yeah, snails are surprisingly alien, but there is no need to be afraid–unless you are dealing with cone snails. I’ve been looking at pictures of knights fighting giant snails in the margins of Medieval manuscripts (they are surprisingly common) and wonder if large ammonite fossils suggested the idea. I don’t know. Do you think they might be allegories of the battle against sloth (which monks, knights, and I all must fight again and again)? Or perhaps the images are caricatures of grasping noblemen. Do you have some examples–they sound amazing. Maybe I can do a post about mollusk marginalia! Sorry, I was wondering where these pictures were taken? I wish I knew…I found them around the internet and had trouble attributing them properly. Stroll the streets of Verona, Italy and in the limestone paving blocks there are lots of cephalopods up to two feet in diameter. Not as big as these, but a very classy place to find fossils. 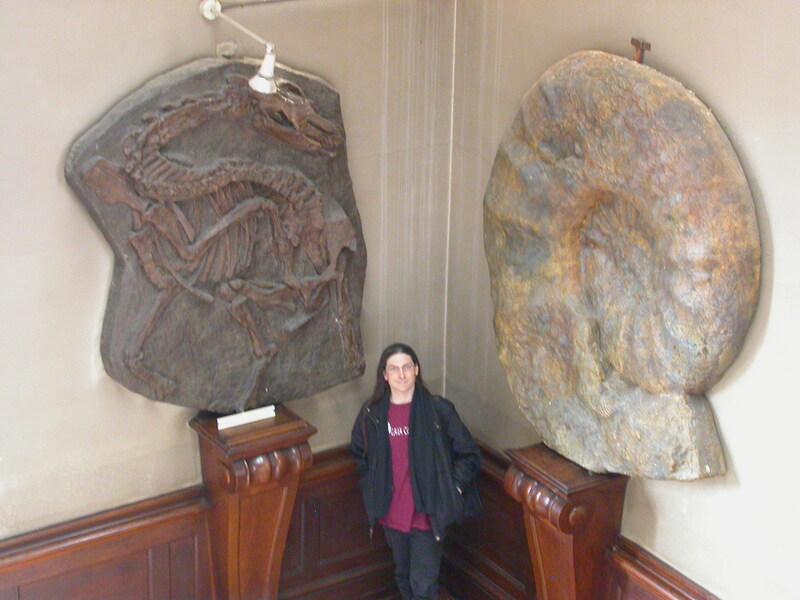 Hi there, I’m sorry to say that the big ammos you have pictured are fake, the first one is made of fiber glass and was made as an in-joke at Lyme Regis, Titanites Gigantia are often found up to 30inchs across but rarely more and never in the dimensions shown in the picture, Likewise the girl stood between the dino fossil and ammo if you look closely you can see the dino is a model! The biggest ammo ever found is in the Museum of New Zealand the Lytoceras taharoaense, is 1.42 metres in diameter and weighs 1,200 kilograms. It was discovered in February 1977 by Jean Gyles of Wellington at Taharoa, 10 kilometres south of Kāwhia Harbour on the Waikato Coast, in a small roadside slip. Excavation took several attempts, with the final chunk recovered in April 1978. It is late Jurassic in age (around 140 million years ago). I curate a small museum and have a fairly large collection of ammos the biggest is a Paracoroniceras Charlsi and is a whopping 24inchs across and takes two strong men to move!